In order to fix and repair LED panel faults, the cause of the fault must first be determined. For this determination, the process sequence is first checked by the LED driver and then the PCB (printed circuit) on which the SMD LEDs and LEDs are located. In our article, you can examine how to repair LED panel, how to troubleshoot faults and repair led panel. Faults in LED panels are usually caused by insufficient capacity of drivers. SMD LEDs used in LED panels fail due to high current. In the same way, by reducing the amount of LED in the price-oriented products, the high current passing through the LEDs cause the LEDs to become deformed over time. In fact, LEDs are not easily broken down when used correctly. Mechanical failures occur by impacts and bumps on the LED panel. A serious impact on the LED panel during transport and installation may cause the solder crack in the panel. Or an unconsciously thrown screw inside the panel during assembly may damage the printed circuit inside. First of all, it provides great convenience to detect malfunctions via eye. If the LED panel does not illuminate at all, the fault is most likely the driver failure. If the LED panel flashes, the fault is still caused by the driver. If only some of the LEDs in the LED panel are lit, the fault is probably from LED. We have already indicated that malfunctions are usually caused by drivers, but may also be caused by different causes. Let us briefly summarize how we can detect faults. If the LED panel works, it is clear that the fault is caused by the driver. If the panel still does not work, the fault is most likely due to the connection cables between the driver and the LEDs. 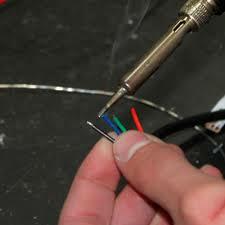 In this case, the solder of the cable ends between dirver and LED must be checked. Repairing a malfunction may not be as easy as it might be. Therefore, it is wise to replace the defective driver with a new driver in case of a malfunction. If the LEDs are malfunctioning, the leds which are probably driven by high current have expired in a short time, in which case it is best to replace the panel with a new one. Of course, it is possible to eliminate minor faults in the connection cables. In the case of the detection of such faults, your panel may become operational again by eliminating contact.